Varmints are small and flighty by nature, so you need a projectile that’s squarely up to the task of hunting them. 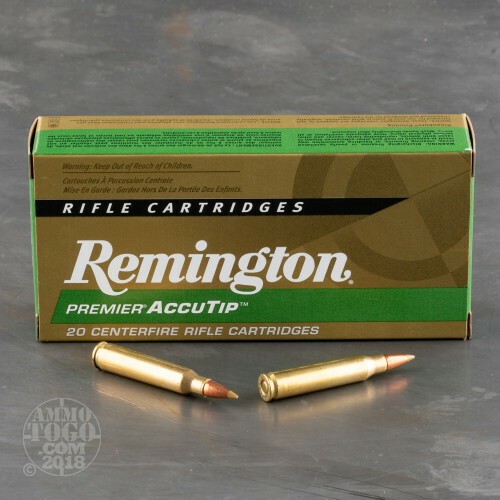 Look no further than this 223 Rem cartridge by Remington, which features the 50 grain AccuTip-V projectile. This bullet’s gold colored polymer tip enables it to neatly dissect the air before it, and its concentric jacket grants it superior in-flight stability. It’s a light bullet for its caliber, and accordingly receives a boost to its muzzle velocity. 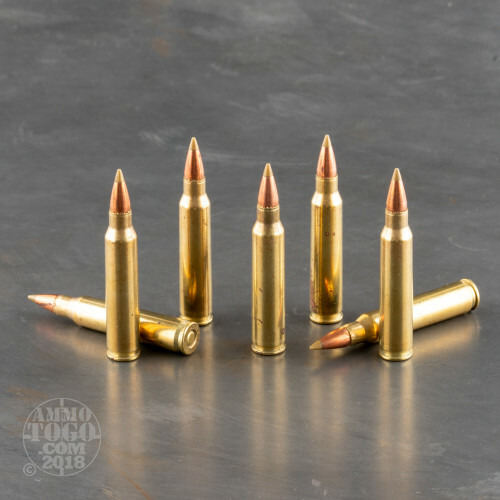 Furthermore, this bullet’s tapered base enhances its ballistic coefficient to flatten its trajectory and permit it to maintain a greater part of that velocity downrange. 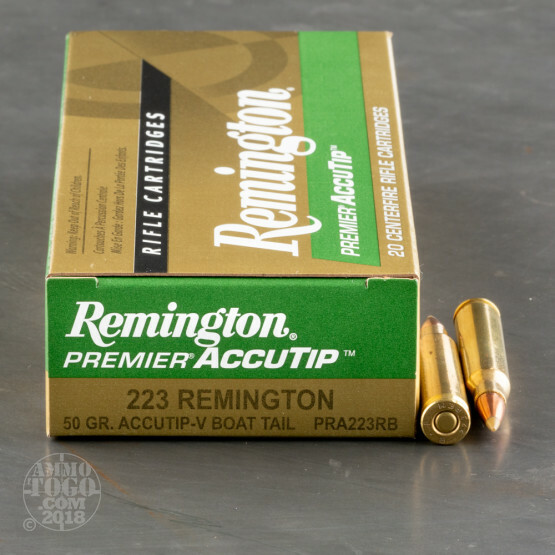 The AccuTip-V has the terminal performance you need to effectively dispatch varmints as well. Upon impact the bullet’s tip smashes into its soft lead core, initiating explosive expansion which is made all the more devastating by its very thin jacket. 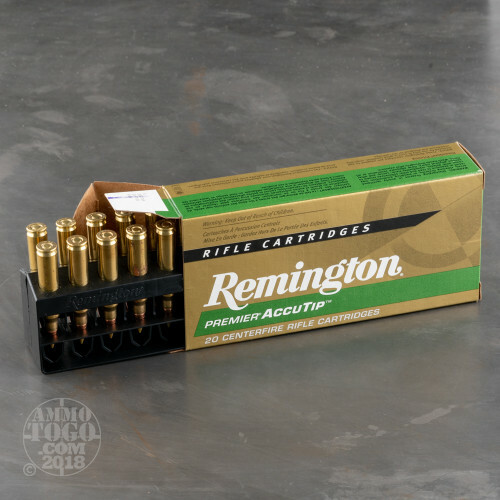 No undesirable critter stands a chance against a well-placed AccuTip-V, so you’ll be all ready for the field with a box of these brass cased firecrackers.